Lawrence Green Team and Sustainable Lawrence are delighted to announce that Lawrence Township has achieved Sustainable Jersey Silver Certification for 2016. Lawrence Township is one of only 26 New Jersey municipalities that have attained certification at the silver level in 2016. 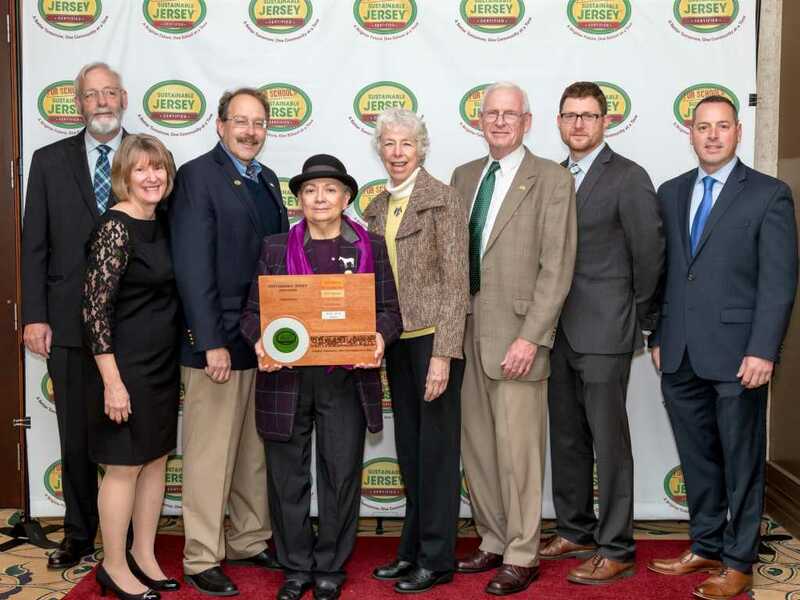 The township was honored at the Sustainable Jersey Awards Luncheon on Tuesday, November 15, 2016 in Atlantic City. Lawrence has been a leader in the sustainability movement in New Jersey and helped launch Sustainable Jersey in 2000. Sustainable Jersey is a nonprofit organization that provides tools, training and financial incentives to support communities as they pursue sustainability programs. Former Lawrence Township Mayor Pam Mount is chair of Lawrence Green Team and Sustainable Lawrence. She served as chairman of Sustainable Jersey from 2012-2015. Lawrence was certified at the Sustainable Jersey Bronze level in 2009, 2010, 2011 and 2014. This year the Lawrence Green Team built a partnership with Rider University Professor Dr. Brook Hunter and her capstone seminar students who spent their spring term studying our local sustainability efforts and interviewing local leaders. The students analyzed Sustainable Jersey requirements and wrote reports documenting how Lawrence has fulfilled 35 actions in 11 categories and exceeded the minimum of 350 points for Sustainable Jersey silver certification. The semester long effort brought Rider students, town volunteers and Lawrence Township staff together for a rewarding and fruitful effort in accomplishing silver certifications. Photo Caption: (L-R) Richard Dovey, Chairperson, Sustainable Jersey Board of Trustees, Donna Drewes, Co-Director, Sustainable Jersey, Mike Winka, Teresita Bastides-Heron, Pam Mount and Don Little of Lawrence, Randall Solomon, Co-Director, Sustainable Jersey, John J. Meehan, Area Manager, Jersey Central Power & Light Company.